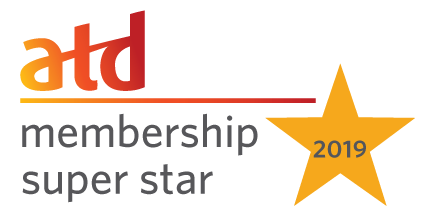 The Eastern Pennsylvania Chapter of the Association for Talent Development (ATD), formerly ASTD, was recognized for its submission to the ATD “Sharing Our Success” (SOS) program. The national SOS program identifies best practices among local ATD chapters and uses them as models for other chapters. 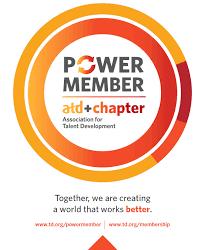 ATD Eastern Pennsylvania Chapter will be co-hosting an exciting networking event this summer with the Lehigh Valley Chamber of Commerce and SHRM. Stay tuned for details and registration information! Please be sure to include your local chapter ChIP code CH2073 when you register. This helps support our Eastern PA chapter. Tony Bingham, President and CEO, congratulates the Eastern PA Board for meeting theChapter Affiliation Requirements (CARE) for 2019! Guest speaker Ann DeLazaro of TalentSmart at the SOLD OUT Winter Chapter Meeting on February 28, 2019. Ann provided an excellent presentation on Emotional Intelligence 2.0! The Best Practices for Internals SIG held their first meeting of 2019 at the Northampton Community College Fab Lab, where participants got to see everything the Fab Lab has to offer. Fab Lab director Jeff Boerner (in the blue shirt) took the group on a full tour. Woodworking, metalworking, electronics, 3D printing, guitar making - the Fab Lab has it all! Thank you to this Chapter Sponsor!